At the Global Partnership week at the Shanghai Polytechnic University. Chairman van de Cappelle shed a light on innovation under the background of “internet + education”. 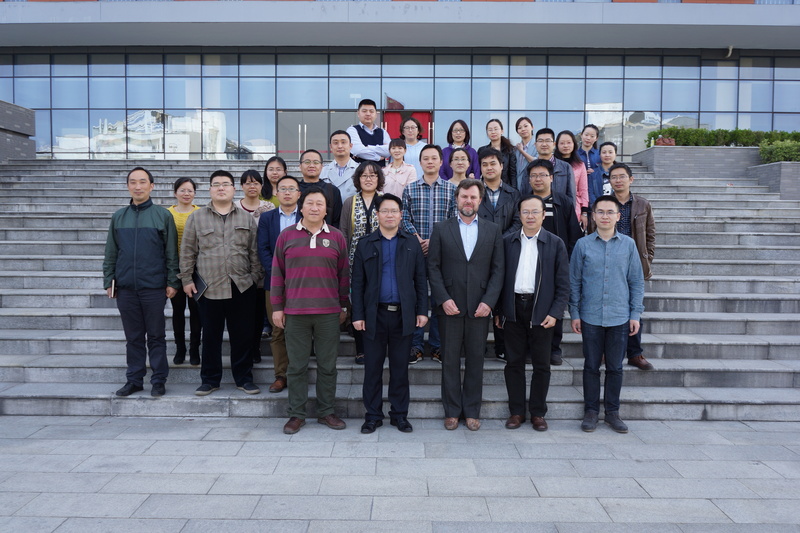 The SaE foundation is providing workshops to different Universities in Shanghai. This speech however was written from his perspective as a teacher at the College of Applied Art & Design of the SSPU. Chairman van de Cappelle and President of the SSPU Mr. Yu Tao. This entry was posted in Geen categorie on 2 October 2016 by ronaldvandecappelle. SaE arranged a workshop with famous painter Ans Markus for magic Mama and her talented group of children while they where visiting Amsterdam during an art-trip through Europe. Master painter Mr. Peng Cainian, renowned artists Patricia Steur (photographer) and Paul Schulten (fashion designer) participated, aswel as young Chinese stars. This entry was posted in Geen categorie on 8 August 2016 by ronaldvandecappelle. 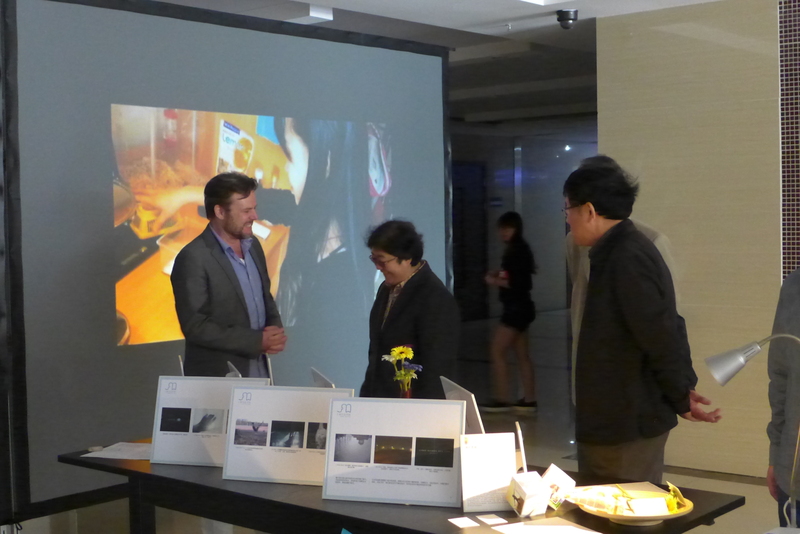 Chairman van de Cappelle gets explanation of mrs. Li Bei at the exhibition ‘China Blue’. 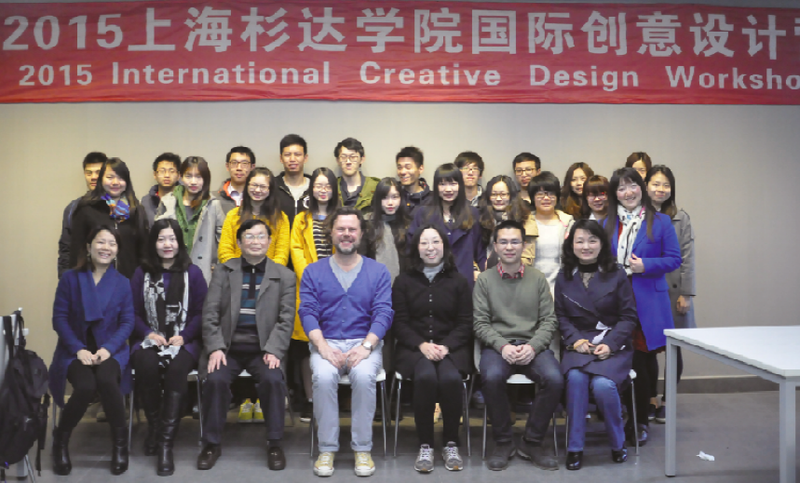 Result of a workshop conducted by Alexander van Slobbe (renowned fashion designer) at the Shanghai Business School. This entry was posted in Geen categorie on 27 October 2015 by ronaldvandecappelle. Presentation at the SSPU Global partner meeting. Topic: communication among students at an international level. With translate bots and the use of the language we all understand = 😃 communication will be as easy as 1,2,3. This entry was posted in Geen categorie on 22 September 2015 by ronaldvandecappelle. President Mr. Yu Tao and his delegation visited SaE headquarters to get acquainted and visit mr. Ton van Oostwaard at e-Corridors to investigate on a possible future cooperation in a ‘turn your city green’ concept. Reduce air pollution with a special breed of plants. This entry was posted in Geen categorie on 14 July 2015 by ronaldvandecappelle. Visual Identity at Sanda University Shanghai. Mr. Xi, Dean of the College of Art and Design (centre left) In front of the design class. At Sanda University, Shanghai 6 days of teaching Visual Identity resulted in a sparkling exhibition of the five groups who focussed on the visual identity of their own university. A lot of emphasis was put on the design thinking process, the start of good designs. Also to start with the ‘Why’ question instead of wondering ‘How’ or ‘What’ we are going to do. Considering the short time for such a complex issue, the results of these bright students where spectacular. Mrs. Jia, vice president Sanda University (centre) is inspecting the results of the six day workshop. This entry was posted in Workshop on 30 April 2015 by ronaldvandecappelle. Lecture ‘Design’ Jiangsu college of information technology. Photo moment with the teachers core and leaders in front of the Lecture hall. Over 500 students attended the lecture about the meaning- and growing role of ‘design’ in the 21st century. This entry was posted in Lecture on 22 April 2015 by ronaldvandecappelle.